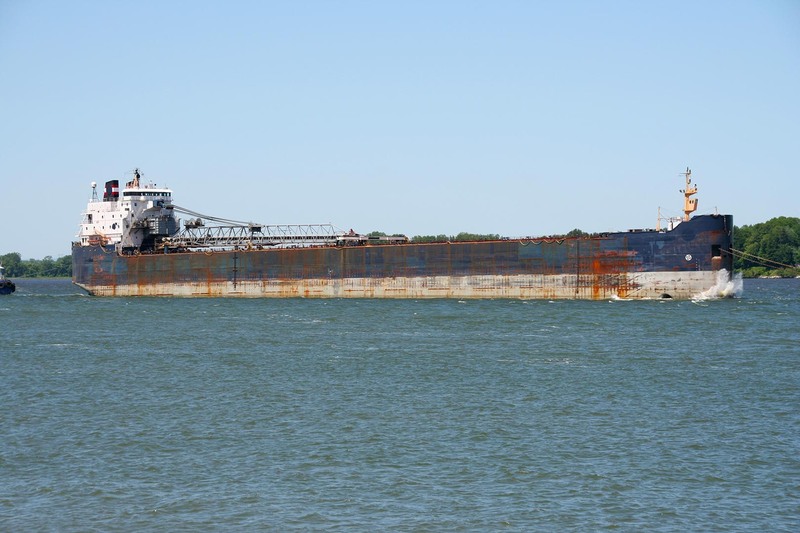 Downbound in the Detroit River, May 22, 2016. 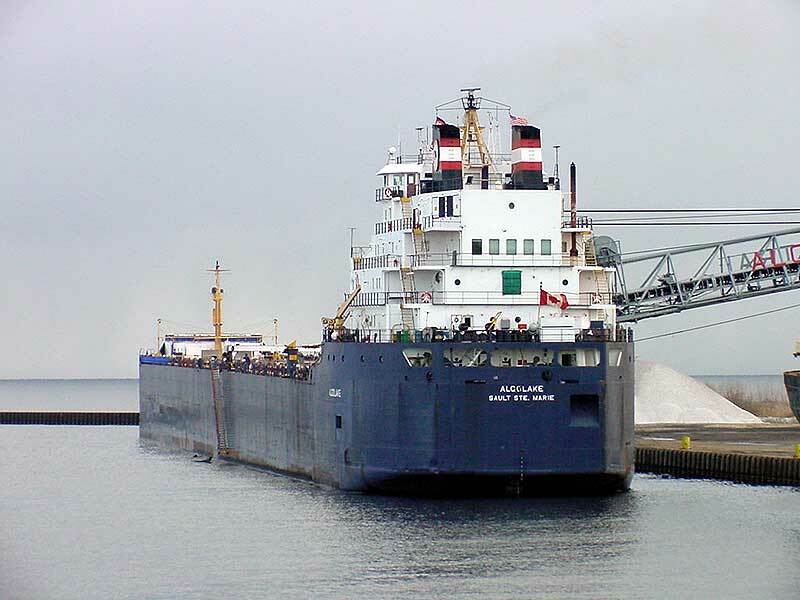 The Great Lakes self-unloading bulk carrier Algolake was built by Collingwood Shipyards, Collingwood, Ont., and launched for Algoma Central Corp., Sault Ste. Marie, Ont., on Oct. 29, 1976. 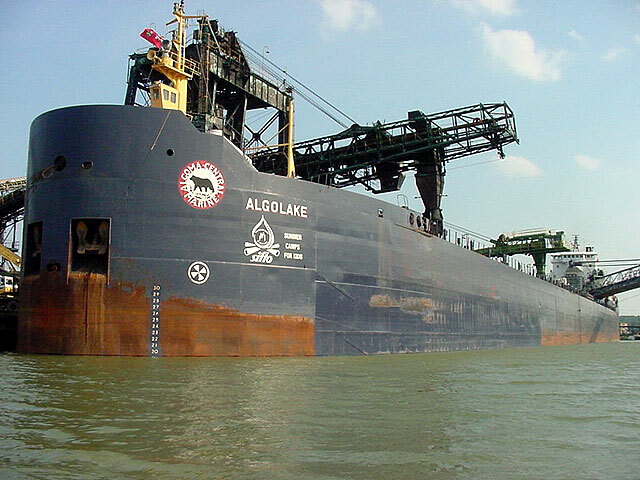 Algolake was a versatile vessel carrying coal, aggregates, slag, iron ore/oxides, salt, fertilizers, grain products, gypsum, quartzite or sand. 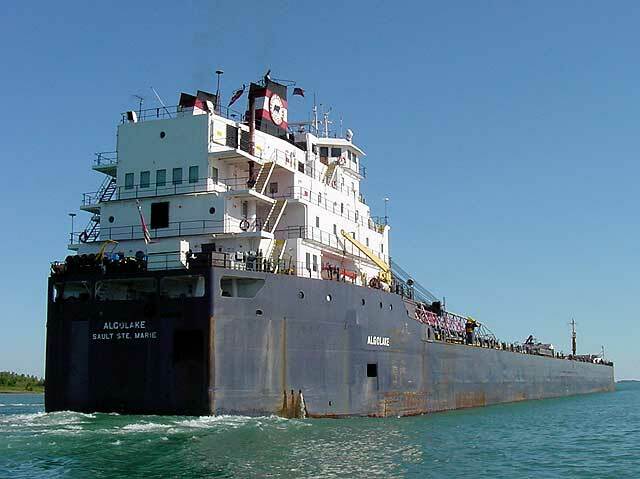 The Algolake was the first Seaway-sized vessel with all cabins aft built for this fleet. She was powered by two Crossley Pielstick 10PC 2V V-10 cylinder 4,500 horsepower diesel engines burning IF40 grade fuel driving a single controllable pitch propeller in a Kort nozzle giving her a rated service speed of 12 knots. 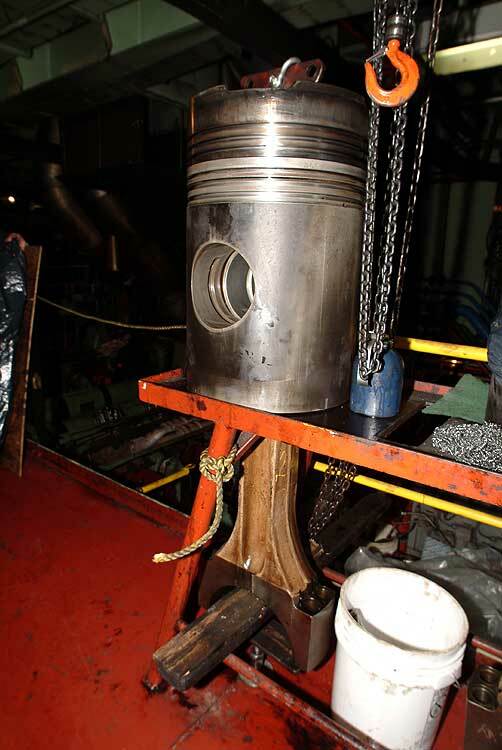 She was equipped with a 1,000 horsepower bow thruster. Her capacities included 464 tonnes of fuel oil, 71 tonnes of diesel oil, 78 tonnes of potable water and 16,740 tonnes of water ballast. 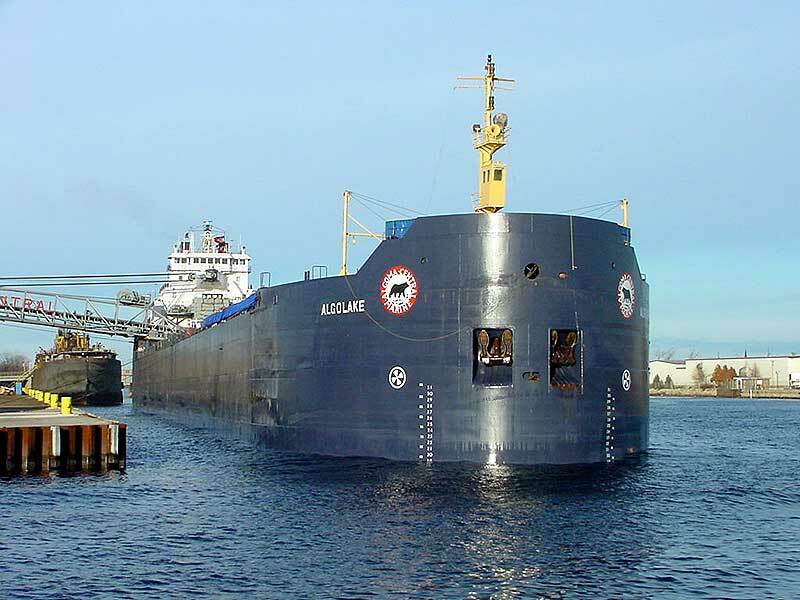 The Algolake's 23 hatches fed into 5 holds where she could carry 26,900 tons at maximum Seaway draft of 26 feet and was capable of carrying 32,150 tons at her maximum mid-summer draft of 30 feet 1/2 inch. 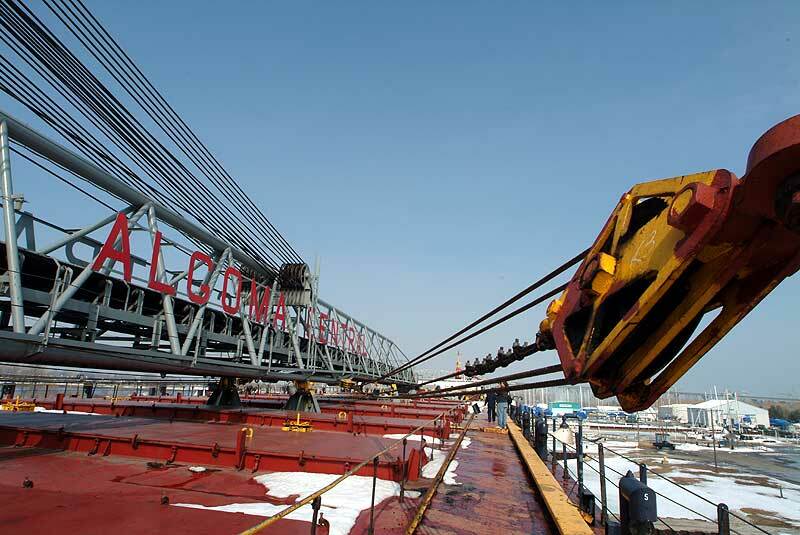 Her self-unloading system consisted of a three-belt gravity system and a loop belt elevator feeding a stern-mounted 252-foot unloading boom that could be swung 90 degrees to port or starboard and discharge at a rate of up to 5,440 tonnes per hour. 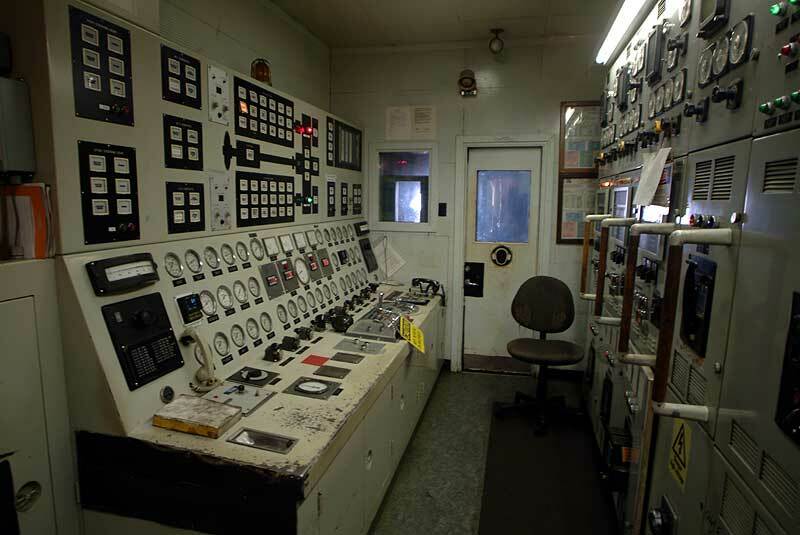 The system included bulk flow gates and a variable speed belt. 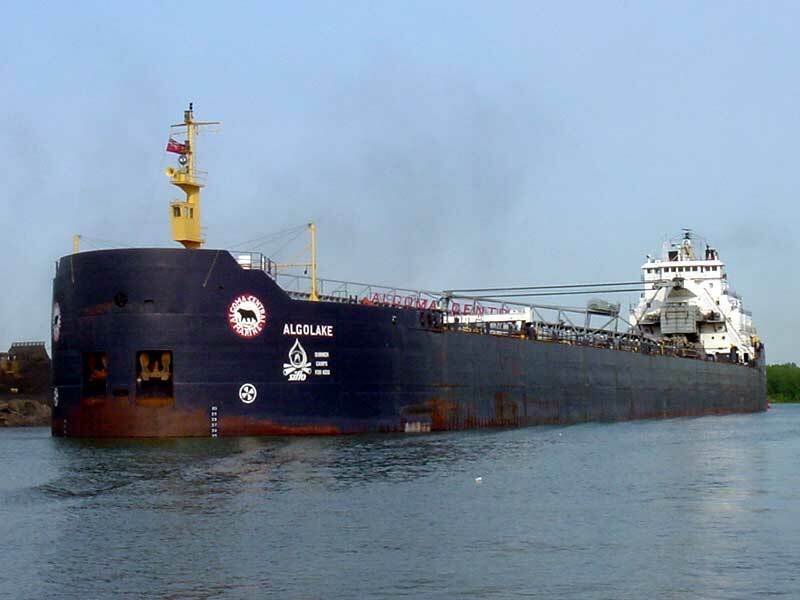 Algolake sailed on her maiden voyage on April 17, 1977 light from Owen Sound, Ont., to Stoneport, Mich., to load limestone for Sarnia, Ont. 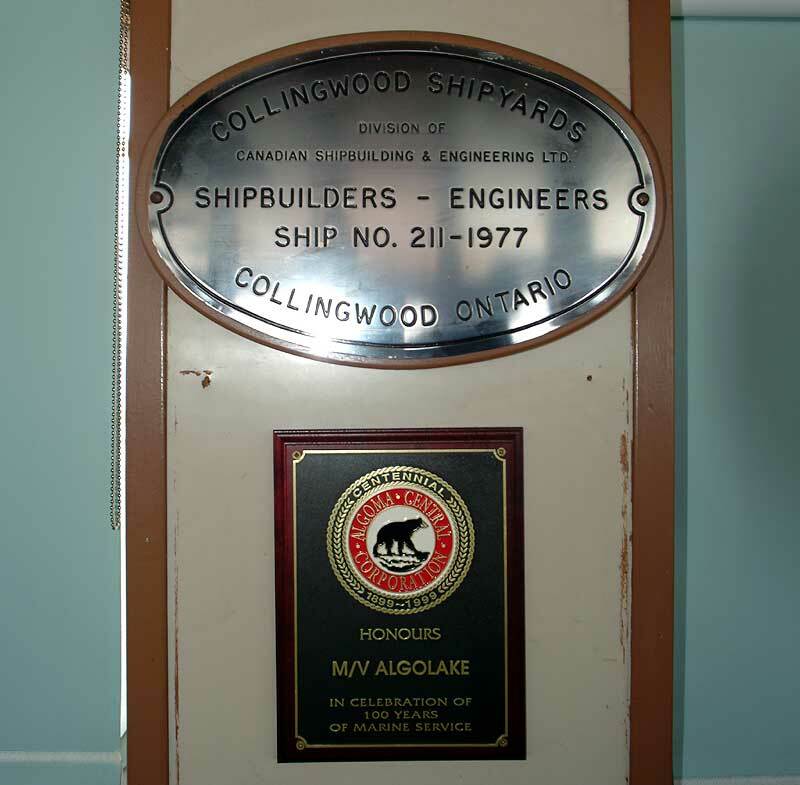 She had sailed from Collingwood the previous day on sea trials and had moored at Owen Sound for minor adjustments. 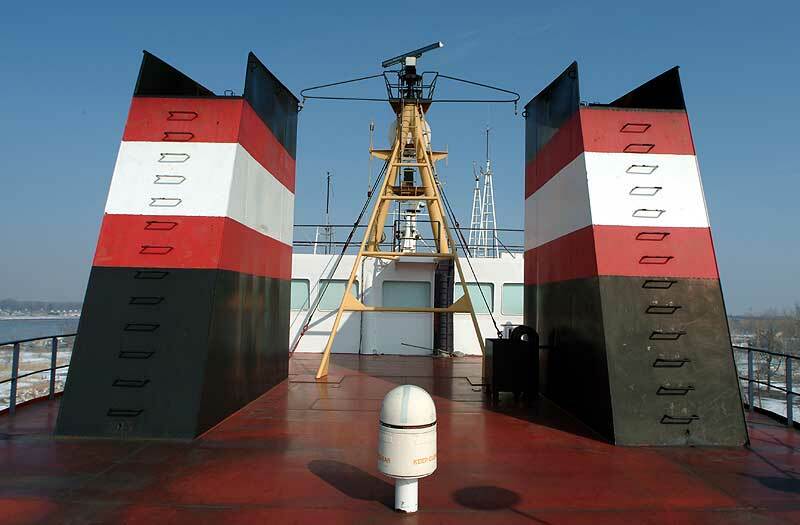 The name was derived from "ALGO", honoring the owning company's name, and "LAKE", for the Great Lakes on which she sailed. She took her turn at setting cargo records. 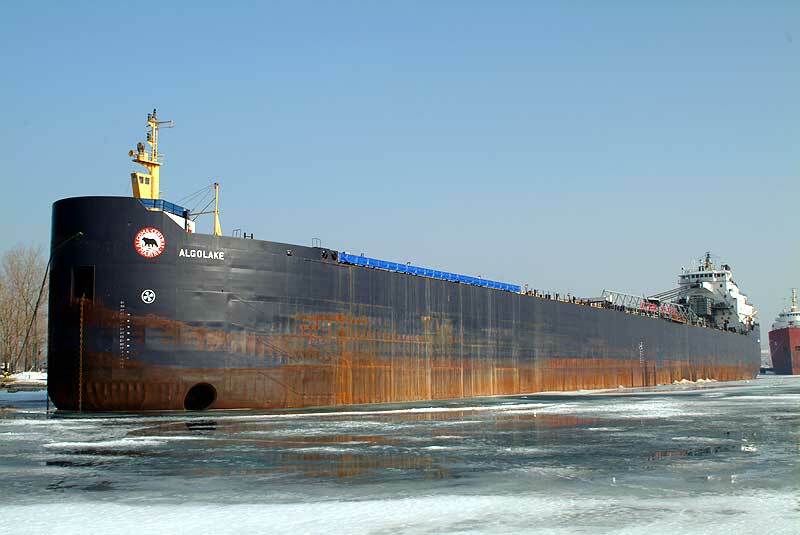 On July 30, 1977, she set a record by carrying 27,210 tons of iron ore from Sept Isles, Que., to Ashtabula. 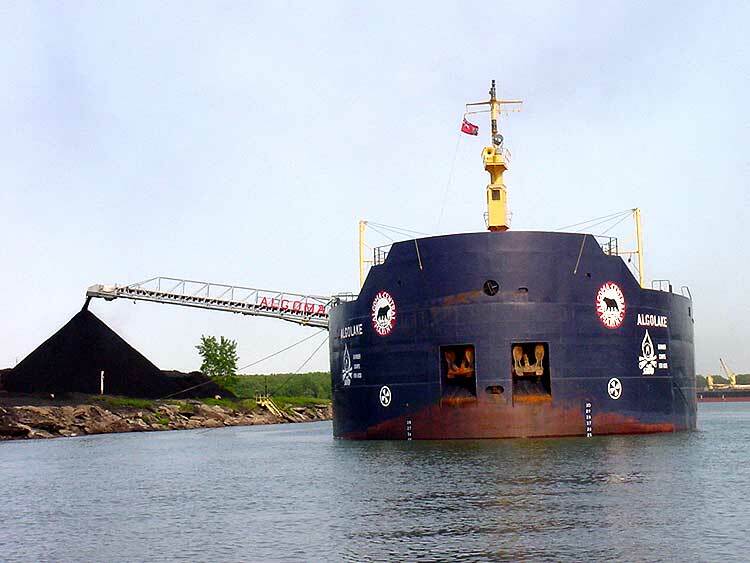 On July 13, 1986, by taking advantage of higher water levels, Algolake carried 30,902 metric tons of coal from Thunder Bay, Ont., to Nanticoke, Ont. 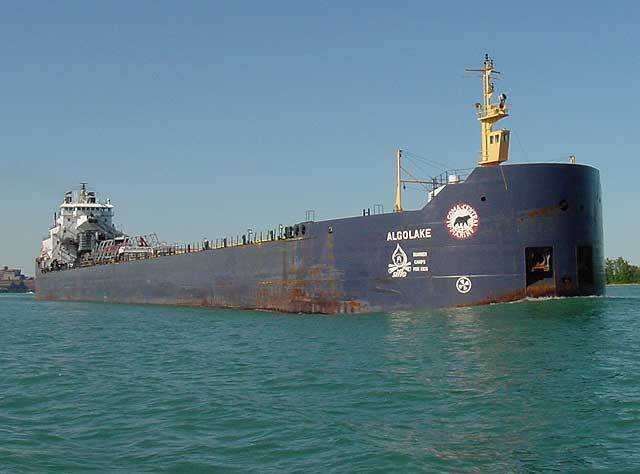 On September 23, 1994, Algolake was headed to Detroit, Mich., with a load of iron ore when the ship ran aground in the St. Lawrence River. The vessel was sailing at 8 knots (15 km/h; 9.2 mph) when she ran aground, suffering some damage to her hull. However, no one was injured and no pollution was reported. 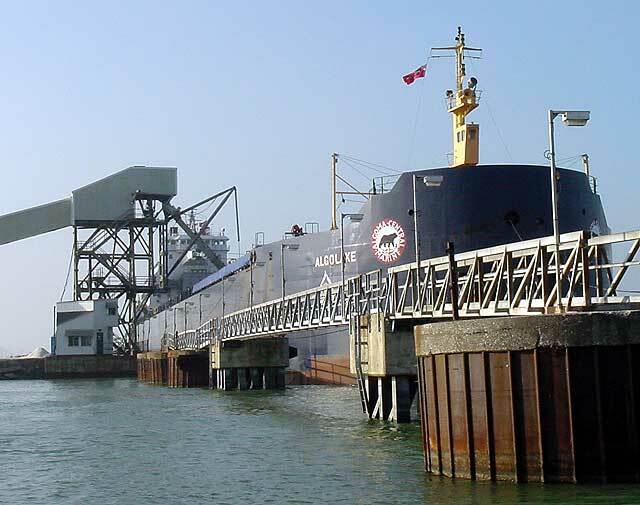 During the winter lay-up of 1999/2000 in Sarnia, Ont., a start was made on a program to replace the bulk flow gates. Algolake had the center belt completed with new doors. The other two belts were to be completed later. 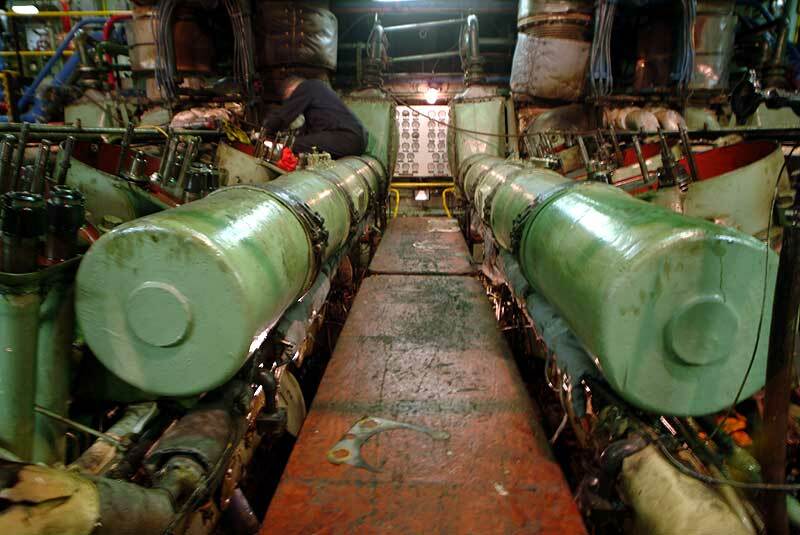 Also completed at that time was a major replacement of main engine controls and the exchange / replacement of the pistons on her Pielstick engines. 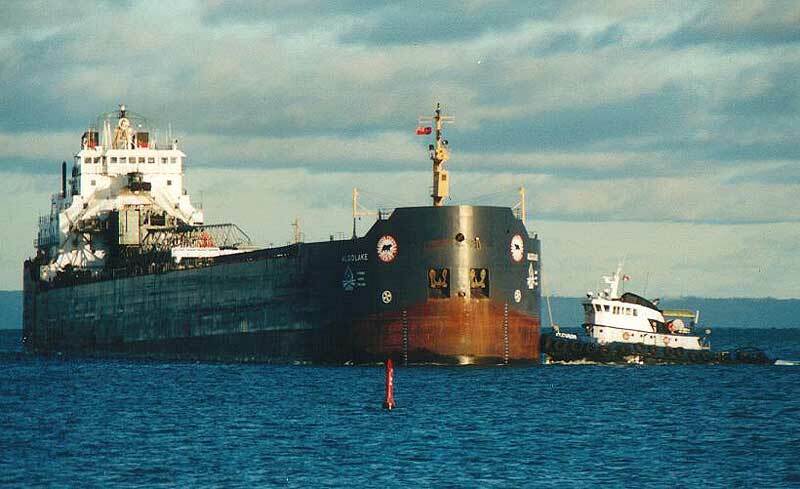 On Aug. 19, 2000, Algolake aided in the rescue of two men whose pleasure craft had become disabled on lower Lake Huron. The Algolake's third mate had spotted a flare southeast of Lexington piers and had the vessel's course altered to proceed to that point. 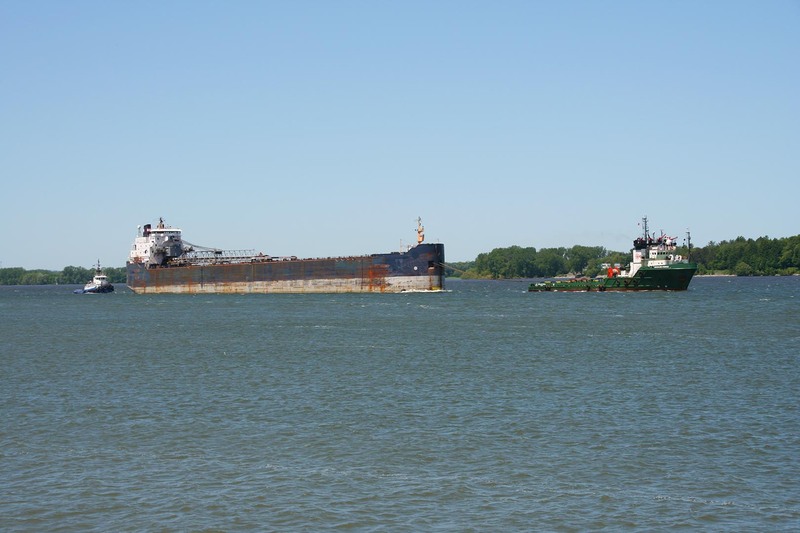 Algolake came alongside of the 18-foot-long disabled craft and took the two men aboard and waited for USCG 41496 dispatched from Port Huron, Mich., to arrive on the scene. The two men, both from Lexington, Mich., had been adrift for six hours before being spotted by the Algolake. 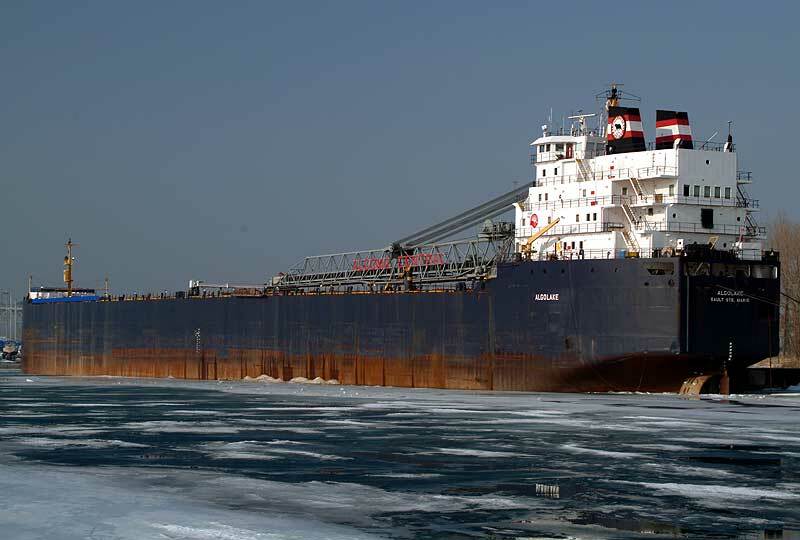 A life extension project for Algolake was cited as one of the reasons why Algoma Central's profits were down sharply in 2009. 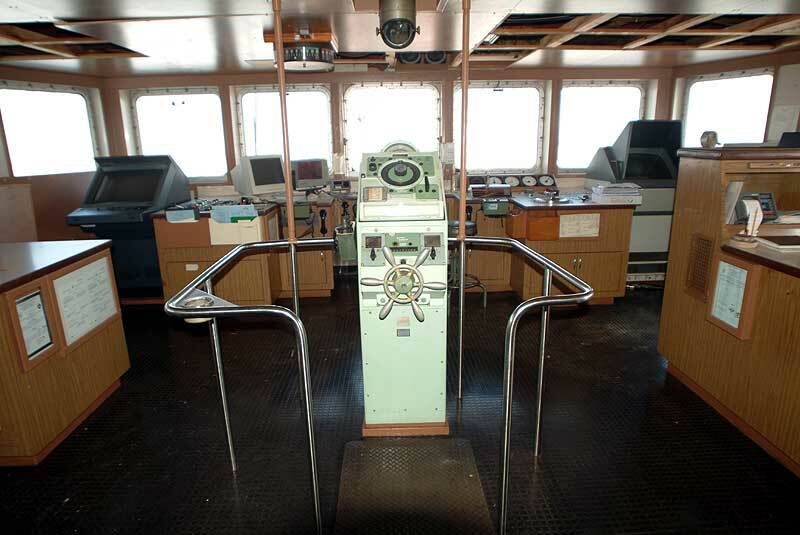 In late 2017, posts on social media from vessel crewmembers revealed that Algolake would be scrapped at the end of the season. The reports were true. 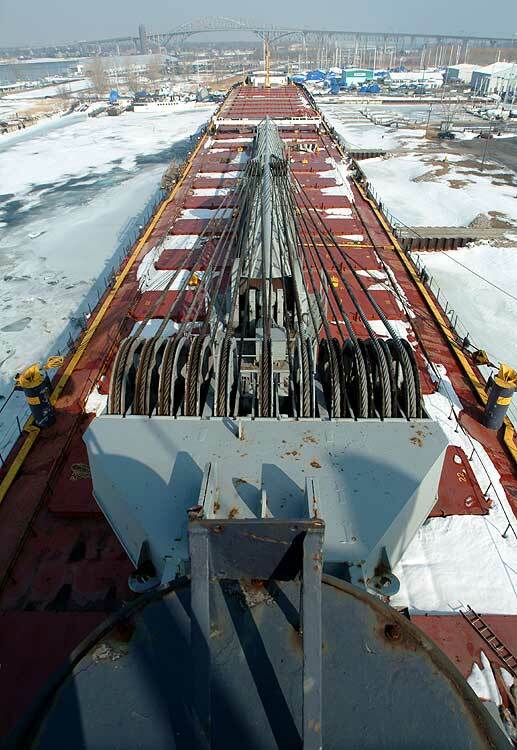 Although she was scheduled to lay up at Montreal, heavy ice sent her to Valleyfield for the winter instead. She arrived in Montreal in early April 2018, where her name and logos were painted over. 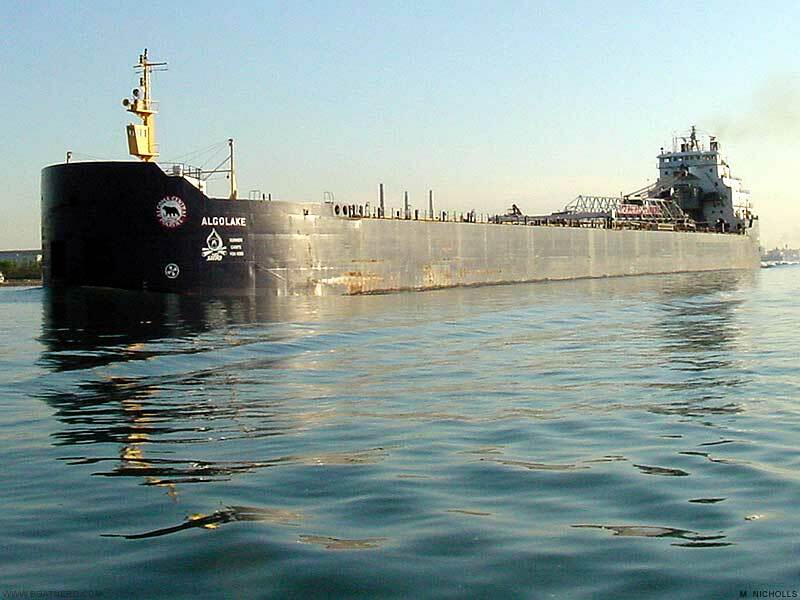 Algolake, bearing the scrap tow name Gola and flagged in Sierra Leone, arrived at Aliaga, Turkey, to be scrapped on July 6, 2018, towed by the deep-sea tug Diavlos Force. 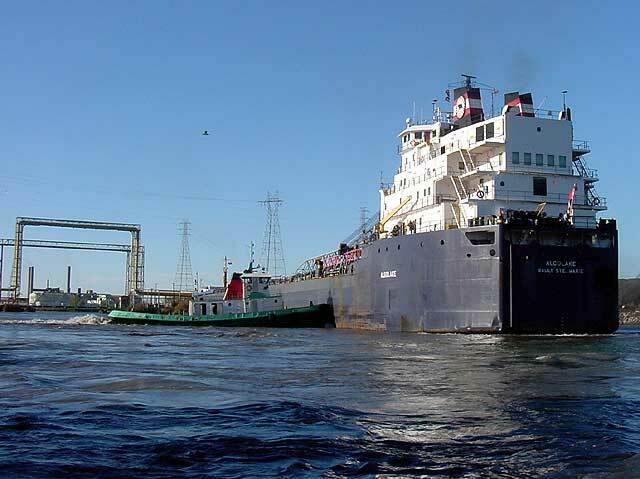 Unloading in the Rouge River, May 30, 2001. Detroit River, Aug. 4, 2001. 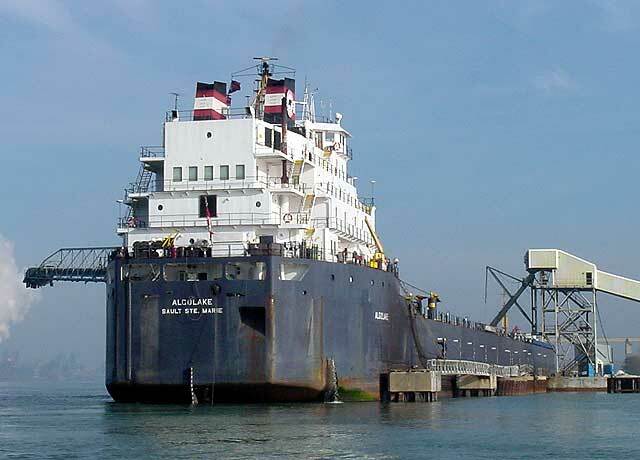 Loading in Conneaut, Sept. 9, 2001. Entering the Rouge River, Nov. 4, 2001. Loading in Windsor, Nov. 16, 2001. Arriving in Thunder Bay, Dec. 2001. 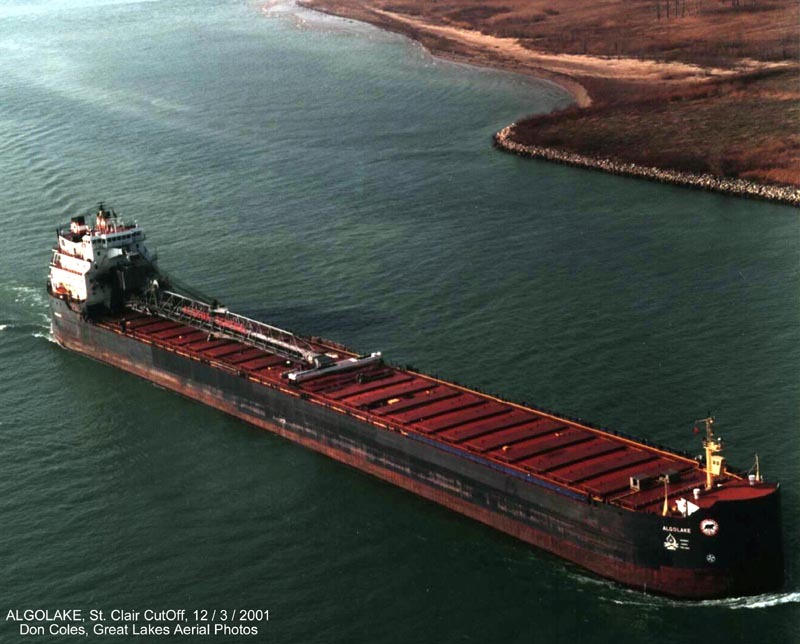 Aerial view in the St. Clair Cutoff Channel, Dec. 2001. 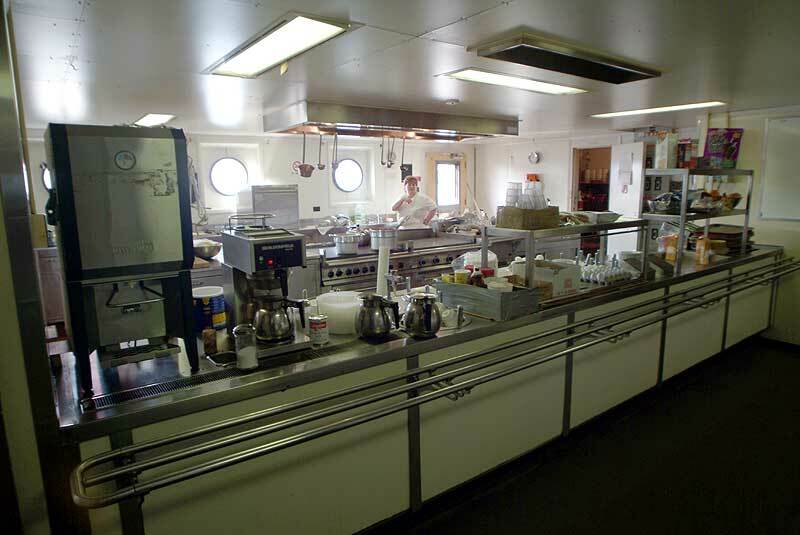 Winter operations, April 5, 2002. Unloading in Marinette, Nov. 26, 2002. 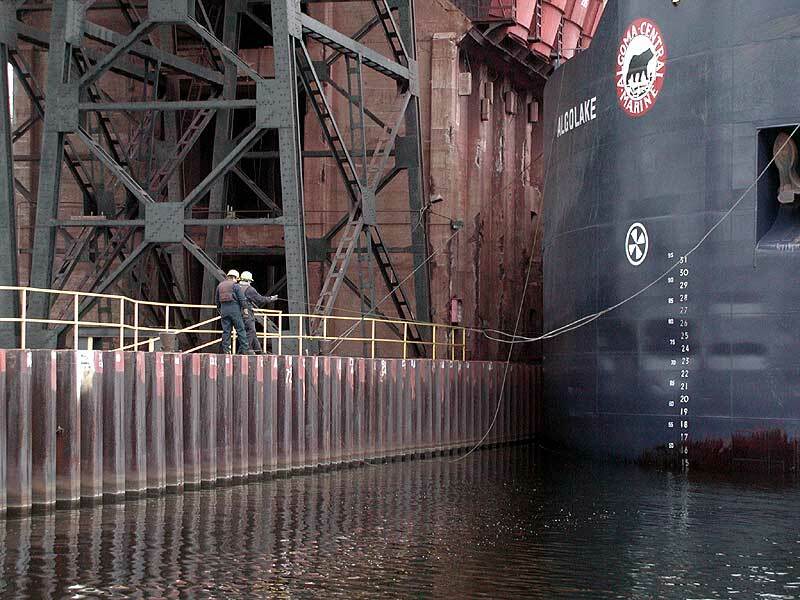 Docking in Marquette, Dec. 13, 2002. 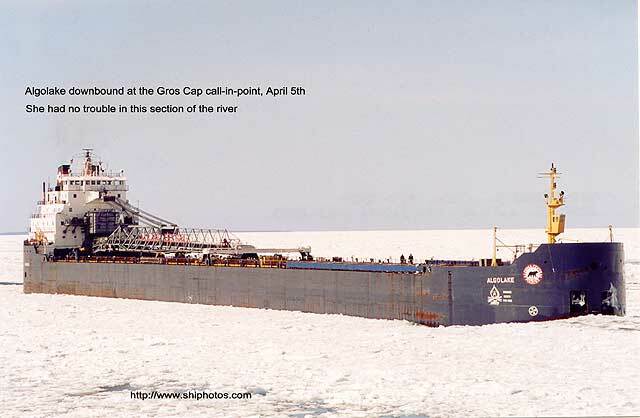 In the North Slip for the winter with the Algonova along side, Feb. 20, 2003. 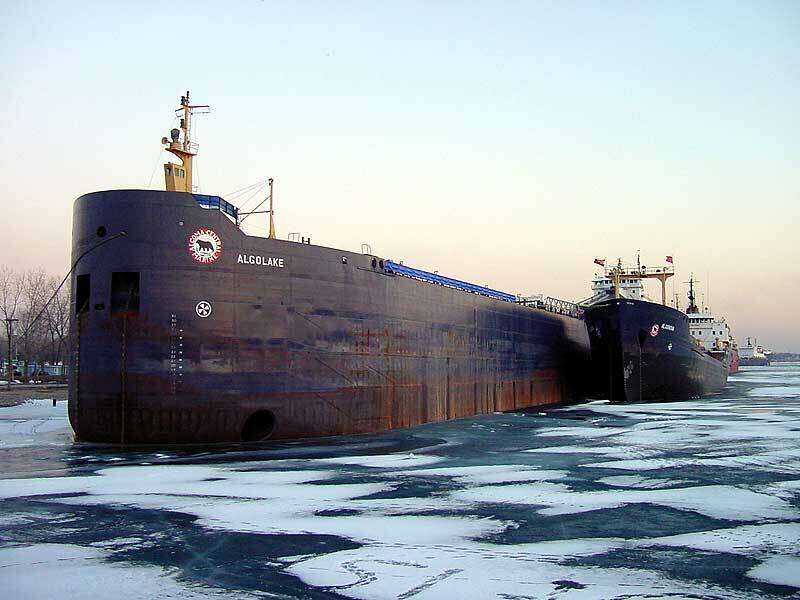 Winter Lay-up 2003 in Sarnia's North Slip. Looking down the boom, Mar. 16, 2003. 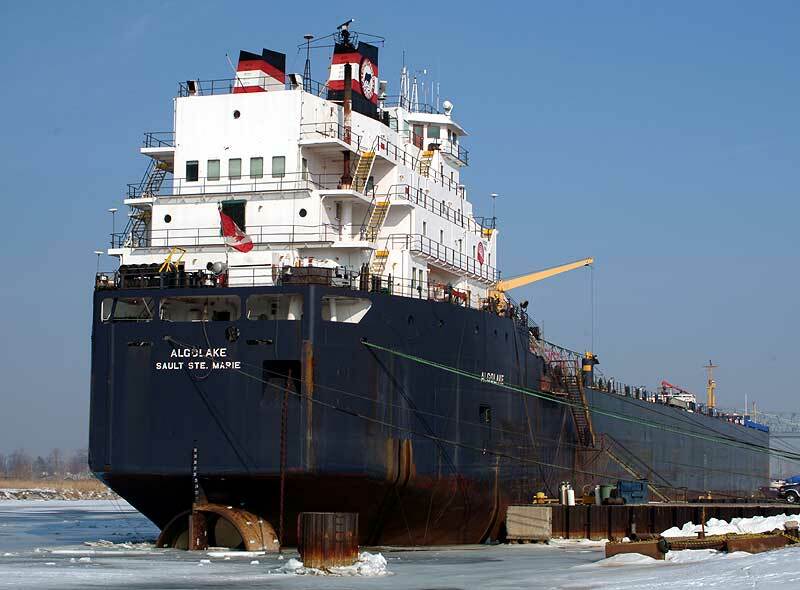 At the Government Dock in Sarnia for the winter, Feb. 10, 2007. Algolake unloaded and pumped out at Port Terminal, Aug. 4, 2010. Tugs hooked up and ready to tow Algolake to Fraser Shipyard. 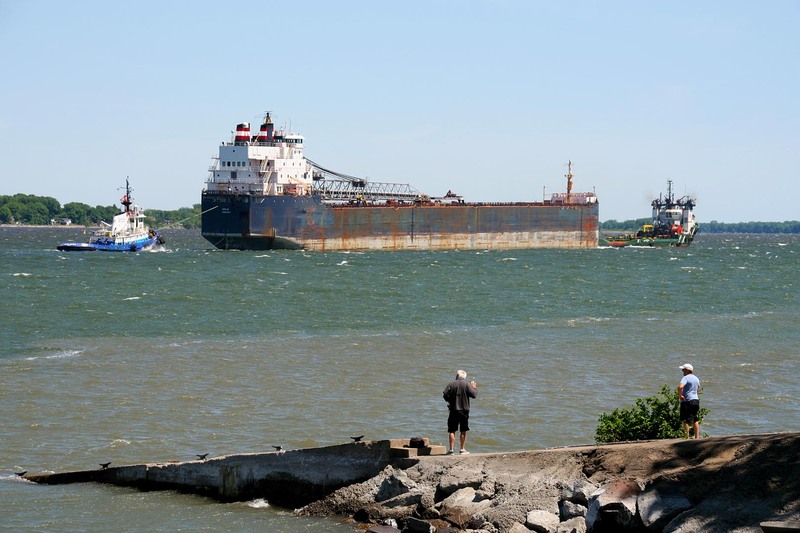 Downbound at the Rock Cut, April 6, 2012. Scrap tow with the Diavlos Pride leading near Sorel, June 6, 2018. Close up of the Gola. Stern veiw of the tow.